Since bed bug pest infestations can spread quickly, it is important to choose an experienced and trained bed bug pest control company that has been trained for bed bug treatment. 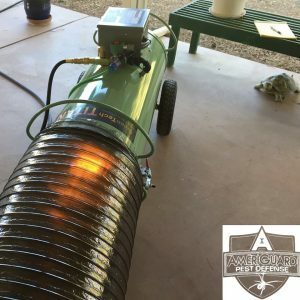 AmeriGuard Pest Defense has a proven success rate with eradicating bed bugs with established bed bug control methods that adhere to standards within the bed bug treatment industry. Don’t hesitate to call us today at 951-652-0505. A bed bug pest control service begins with a licensed technician performing an inspection for bed bugs. The technician will pay close attention to any sleeping and/or resting areas and will look for bed bug evidence and potential bed bug harborage sites. A custom bed bug control service will be devised, including any recommendations for follow-up service, mattress encasements and bed bug treatment procedures will be discussed. In order to achieve maximum bed bug control, it is necessary that we receive cooperation from our customers, including carefully following the below Bed Bug Pest Control check list. Once the inspection is completed, we can schedule your bed bug pest control service. We cannot begin the service if the residence is not properly prepared and ready for the bed bug service. AmeriGuard uses non-repellant pesticides to achieve optimum bed bug elimination. These non-repellant treatment methods ensure that bed bugs will not be able to detect the pesticides that are being used. 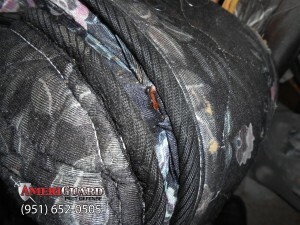 AmeriGuard Pest Defense provides different bed bug control services for different situations. Heat Treatment, Chemical treatments and bed bug fumigation are an example of the bed bug treatments options. All of these options will be discussed in detail during the bed bug inspection. Multi-Unit housing such as duplexes, dormitories, apartments, condominiums and hotels present a unique vulnerability to the spread of bed bug infestations. Residents in these types of dwelling units share common walls, infrastructure, hallways, ceilings, floors and utility lines. These shared commonalities can lead to quick spreading of a bed bug infestation. 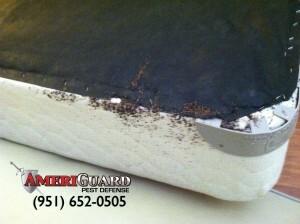 AmeriGuard Pest Defense is experienced in bed bug treatment for multi-family structures. We work together with property managers, property management companies, landlords and tenants to ensure effective bed bug control is achieved. Prior to World War II, bed bugs were a common household pest. However, improvements in sanitation and hygiene and the invention of synthetic pesticides in the mid-1900s helped contribute to the near eradication of bed bugs. Nevertheless, bed bugs weren’t eradicated completely and made a resurgence in the late 1990s. Within a few short years, bed bugs had spread to all 50 states in the U.S. effectively reintroducing the need for bed bug control. Over the last five years, bed bugs have become a real problem in Southwest Riverside County, including Hemet, San Jacinto, Temecula, Menifee, Perris, French Valley, Winchester, Murrieta, Beaumont, Banning, Nuevo and the surrounding communities for Bed Bug Pest Control. Bed bugs usually hide during the day near the sleeping areas of their chosen host. They tuck away in small spaces such as the tufts of mattresses and furniture seams and congregate closely together on the underside of unfinished wood in box springs, nightstands, headboard and footboards. Bed bugs are attracted to warmth and the presence of carbon dioxide. It is not uncommon for a resident to be completely unaware that they have bed bugs until an infestation is well underway, necessitating the need for professional bed bug control pest control. Bed bugs pierce the skin with their mouth parts while they are feeding, leaving a telltale bed bug bite mark. Reactions to bed bug bites vary depending on the individual’s allergy sensitivity to the bed bug saliva. Bed bug bites may result in redness and painful itching in some, while others do not have as severe of a reaction.